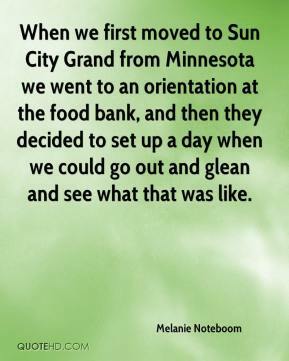 When we first moved to Sun City Grand from Minnesota we went to an orientation at the food bank, and then they decided to set up a day when we could go out and glean and see what that was like. 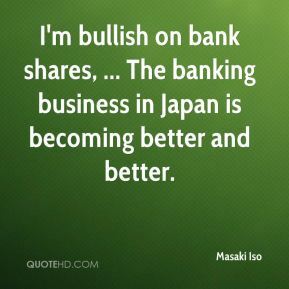 I'm bullish on bank shares, ... The banking business in Japan is becoming better and better. High-tech gains are sort of a given. 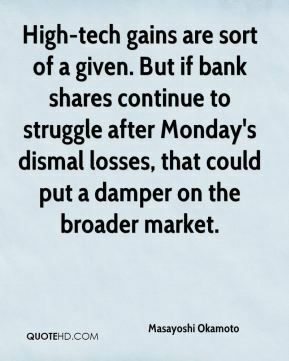 But if bank shares continue to struggle after Monday's dismal losses, that could put a damper on the broader market. 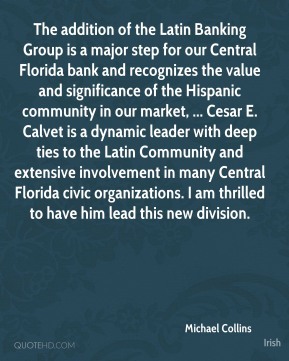 The addition of the Latin Banking Group is a major step for our Central Florida bank and recognizes the value and significance of the Hispanic community in our market, ... Cesar E. Calvet is a dynamic leader with deep ties to the Latin Community and extensive involvement in many Central Florida civic organizations. I am thrilled to have him lead this new division. Cut Bank is the most generous community I have ever lived in and I know we can rise to the occasion. The real challenge will be how to get the right family here. 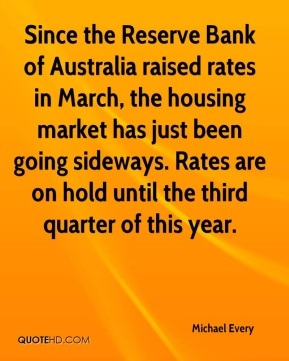 You can write off the chance of the Reserve Bank cutting rates this year and well into next year. 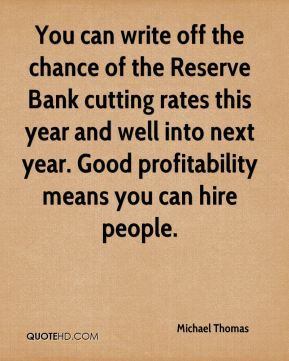 Good profitability means you can hire people. 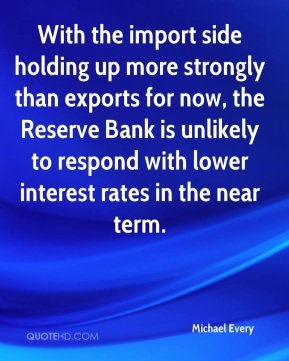 This report backs the Reserve Bank remaining on hold ahead. 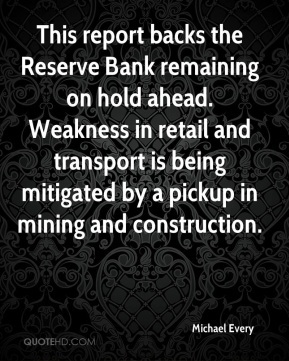 Weakness in retail and transport is being mitigated by a pickup in mining and construction. 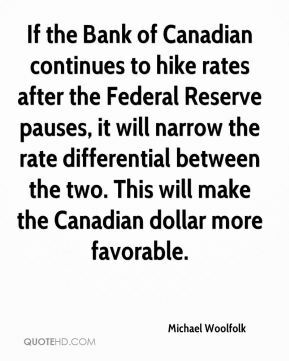 If the Bank of Canadian continues to hike rates after the Federal Reserve pauses, it will narrow the rate differential between the two. This will make the Canadian dollar more favorable. 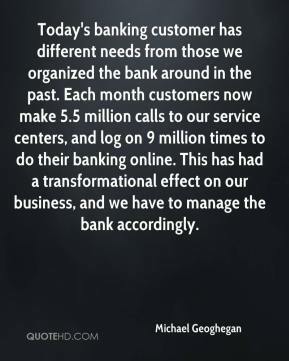 Today's banking customer has different needs from those we organized the bank around in the past. Each month customers now make 5.5 million calls to our service centers, and log on 9 million times to do their banking online. This has had a transformational effect on our business, and we have to manage the bank accordingly. 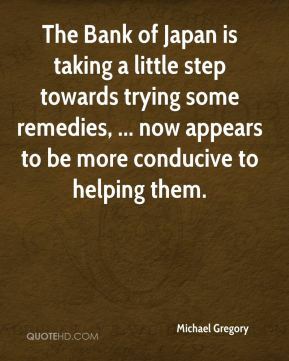 The Bank of Japan is taking a little step towards trying some remedies, ... now appears to be more conducive to helping them. 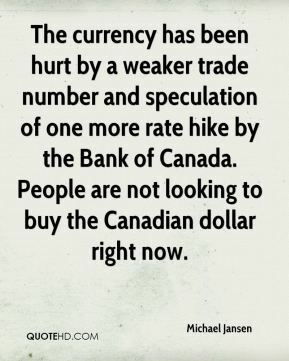 The currency has been hurt by a weaker trade number and speculation of one more rate hike by the Bank of Canada. People are not looking to buy the Canadian dollar right now. [Mickey Levy, chief economist for Bank of America said the money that will pour in may more than make up for the hits New York will take in finance, tourism and retail.] 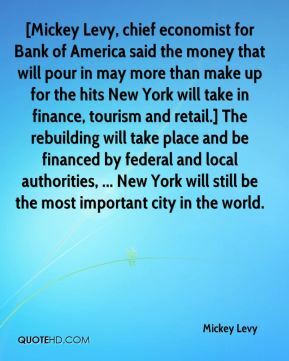 The rebuilding will take place and be financed by federal and local authorities, ... New York will still be the most important city in the world. 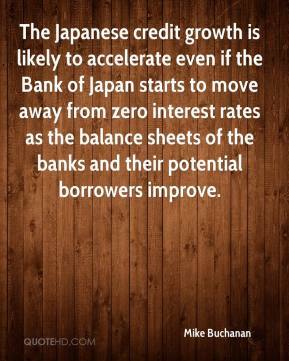 The Japanese credit growth is likely to accelerate even if the Bank of Japan starts to move away from zero interest rates as the balance sheets of the banks and their potential borrowers improve. 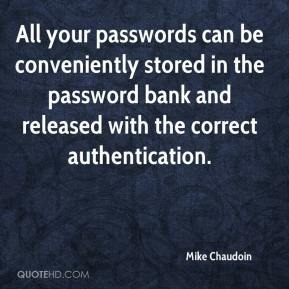 All your passwords can be conveniently stored in the password bank and released with the correct authentication. 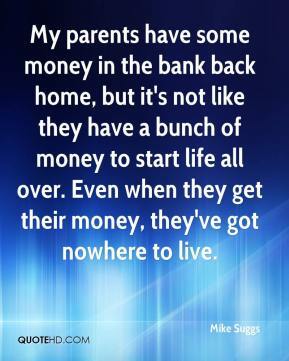 My parents have some money in the bank back home, but it's not like they have a bunch of money to start life all over. Even when they get their money, they've got nowhere to live. 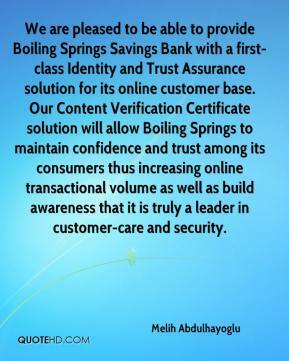 The target is fooled into logging into a fake bank, where they ask for his authorization code. 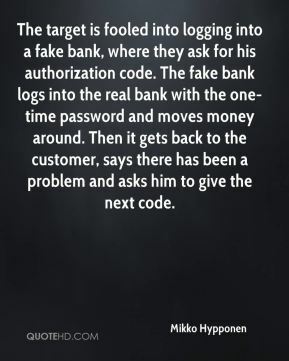 The fake bank logs into the real bank with the one-time password and moves money around. Then it gets back to the customer, says there has been a problem and asks him to give the next code. 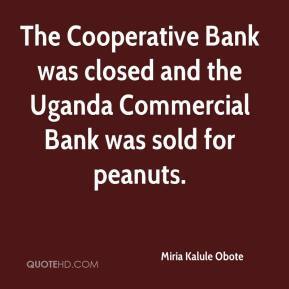 The Cooperative Bank was closed and the Uganda Commercial Bank was sold for peanuts. 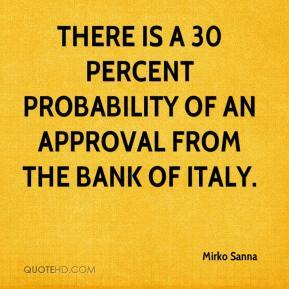 There is a 30 percent probability of an approval from the Bank of Italy. 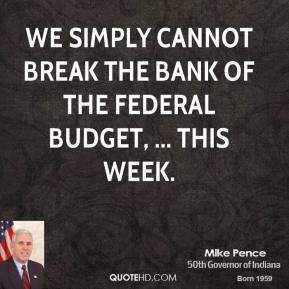 We simply cannot break the bank of the federal budget, ... This Week. 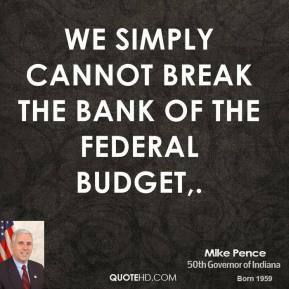 We simply cannot break the bank of the federal budget. 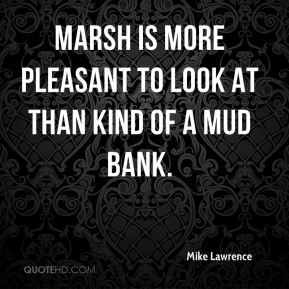 Marsh is more pleasant to look at than kind of a mud bank. 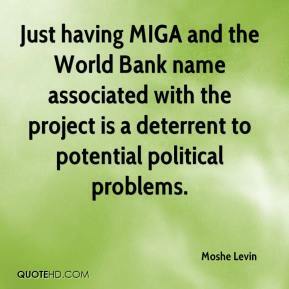 Just having MIGA and the World Bank name associated with the project is a deterrent to potential political problems.